PASCAL LECOCQ The Painter of Blue ® - Tag Archive for "Bangkok"
This exhibit will still make a statement and benefit the public with a conservation awareness message. 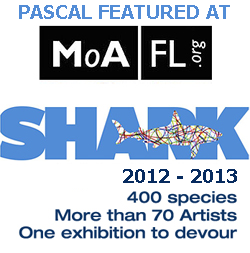 As a Member of The Ocean Artists Society since its foundation in 2003 (with Wyland, Guy Harvey…) Pascal will exhibit several pieces as the matador, The dentist and Climate Change. See Pascal’s events with the OAS in the posts. 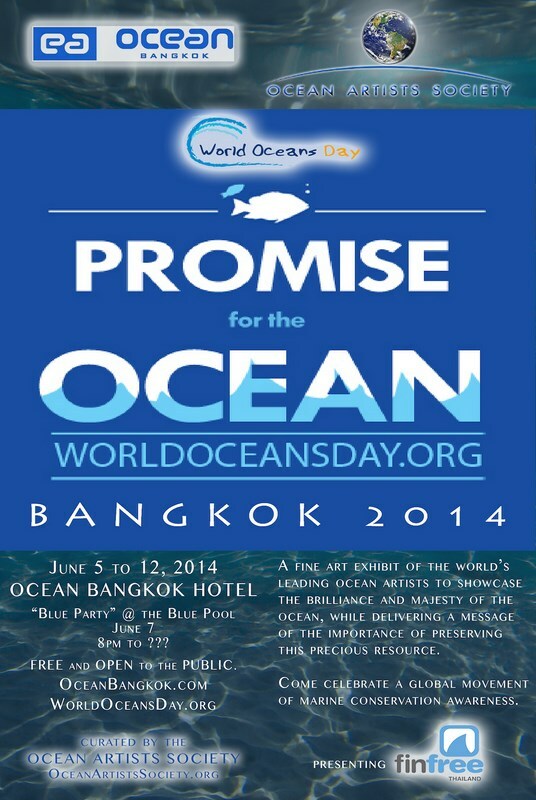 An evening event in the pool area has been planned in celebration of World Oceans Day. All guests are encouraged to wear blue attire. There will be a short presentation of the importance of Marine Conservation to open the event at 8pm. OAS member’s artworks will be projected on the large white walls during the party. These images will consist of the ones that were previously delivered for the sponsor book along with artworks from the previous films.